A model that allows six Austrian Universities access to in-house substance and reaction databases (i.e. CAS ONLINE, Beilstein Crossfire, ChemInformRX, Theilheimer, SPG, ChemSynth etc.) is described and real-live case studies of searches, that can also serve as learning tools for database mining, are presented. 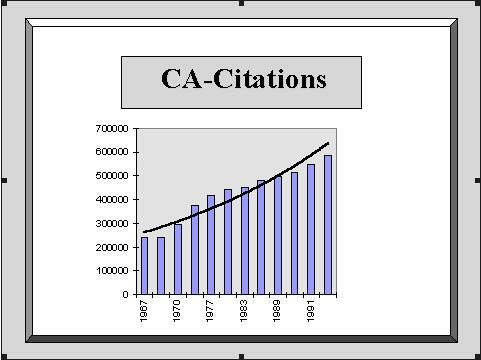 Chemists have access to an increasing variety of bibliographic, structural, factual, and spectral databases via global networks. In this context in-house databases (in contrast to on-line databases) are defined as being accessable by an unrestricted licence that typically is paid as a yearly fee. Although chemical information continues to grow at a dramatic pace (Fig. 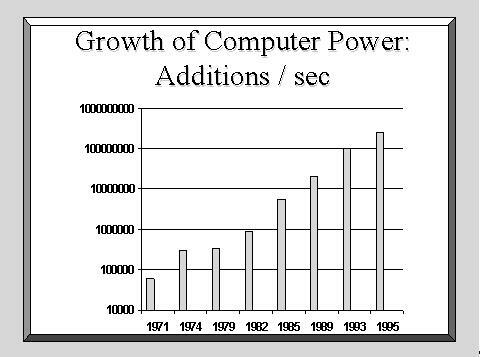 1, linear scale), the increase of computer power and data storage facilities has been growing faster within the last 20 years (Fig. 2, exponential scale). This project is continued to being financed centrally by the Ministery of Science. In contrast, the current campus licence to use Beilstein Crossfire is financed by the University libraries via the acquisition of the Beilstein information package, containing the printed version of the Beilstein Handbook as well as the Beilstein Crossfire database and the Beilstein Commander search software. The necessary hardware investments are financed via a joint fund provided by the chemistry institutes. As the demand for highly specialized databases, as e.g. ChirBase for chiral separations or SPORE for handling solid phase organic reactions increases, such databases should be financed by those institutes that need such data most, but still be licenced to the whole academic community. The need for an increased formal education for database searching as part of the chemistry curriculum is obvious and such an education should be established at Austrian Universities. This program should take advantage from the experiences gained by the German programme of end-user training and - in contrast to the German program - should include formal training to the use of all relevant databases, including Chemical Abstracts CA- and Registry files, which presently are excluded from the German programme.